Why online brand reputation management and brand monitoring are important for brand success. Everyone is familiar with maxims about reputation. Altogether they imply that your reputation stands on a knife edge – and this even truer in today’s digital age. The massive growth of social media and dependence on online communities in forums and review sites mean that a PR hiccup can send perceptions about you spinning wildly out of control. Just one negative feedback can seriously impact brand reputation, undermine leadership credibility and result in significant financial losses. This is where Online Reputation Management can help. This service will maintain, enhance or recover any business or personal reputation. It involves a wide range of novel and sophisticated techniques, aided by realtime brand reputation monitoring to help you uncover what people are really saying about you online. Read about 6 top reputation disasters to understand how hiring an online reputation management and monitoring specialist such as 5th Law can help you or your brand manage it’s reputation profile. News spread fast. United Airlines was ridiculed on social media for policing women’s clothing by a worldwide audience. Some mounted more serious claims of sexism. However, this dwindled into insignificance on April 9th as United Airlines passenger Dr. David Dao was forcibly removed from an overbooked flight. The sickening images caused uproar on social media platforms and were broadcast on global news channels. United Airlines is fortunate because it suffered negligible, short term losses on the stock market. However, the perceived poor management of the crisis and lack of empathy by CEO Oscar Munoz may affect the airline in the long term as demands for a change of executive leadership increase and passenger preference shifts to other airlines. Earlier this year, United Airlines announced it’s, Shared Purpose initiative with the goal of, ‘Connecting People. Uniting the world.’ Its Shared Purpose will hold little water with airline passengers as their brand reputation sinks to new lows. The lesson to learn here is that social media can project incidents on to the global stage in moments and shatter well developed PR campaigns. Reputation Repair uses powerful, proven search engine optimisation techniques to bury negative results away and position positive feedback on first page of results. Evan Spiegel the CEO of messaging and multimedia app, Snap Inc. came under fire for purportedly stating that the Snapchat app is only for rich people and that he didn’t want to expand into poor countries like ‘India and Spain’. Whether Evan Spiegel actually said this is unknown. The allegation comes from an employee who worked for only three weeks at the company. Regardless, this news saw Snapchat’s ratings drop to one star on the Apple India App Store. Snapchat has denied the accusation, saying, ‘This is ridiculous. Obviously Snapchat is for everyone. It’s available worldwide to download for free’. Whichever side you believe, such allegations transpire as fact in the fluid world of social media. Such negative press can undermine your brand’s potential for growth. With India possessing the planet’s biggest population of millennials, Snapchat will lose the lucrative attention that other Silicon Valley giants are desperately seeking. Investigate unfounded online defamation. Investigate negative press about your brand, threats made via email, or security risks to your organisation which worry you. 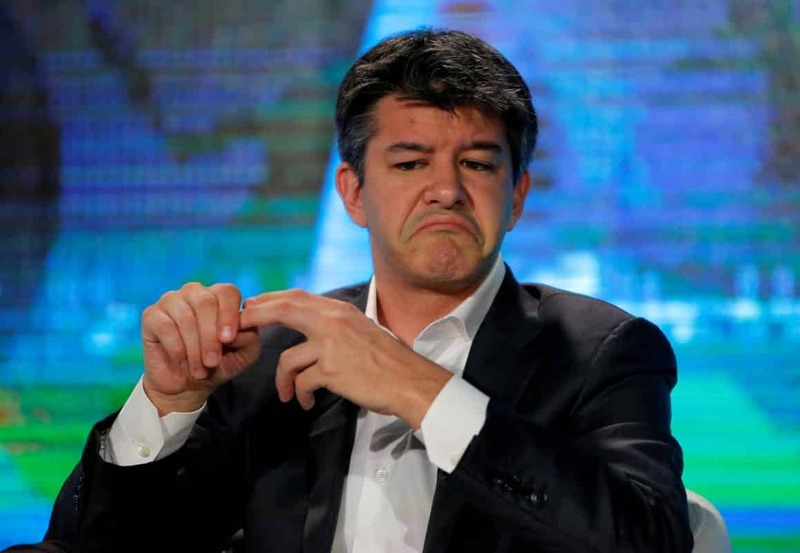 Travis Kalanick, the CEO of Uber provided an embarrassing example of a CEO blundering into a PR mess. He was filmed in a belligerent argument with one of his own Uber drivers Fawzi Kamel. Fawzi claimed that driving for the service had resulted in his bankruptcy. Travis irksomely responded that Fawzi should take responsibility for his own financial situation. In fact, Fawzi’s position reflects those of many disgruntled Uber drivers. Travis appeared uncaring and exhibited poor leadership and self-conduct. Travis soon after issued an apology to his staff expressing his shame and commitment to improving his leadership of the company. Social media once again carried the news far and wide. It was bad timing for a gaffe from the top after a particularly damaging incident in earlier in the year. In January 2017, New York Taxi Drivers at JFK Airport issued a strike in response to President Trump’s Travel Ban. Uber appeared to be undermining the strike by relieving ‘surge pricing’ from the airport – incentivising stranded passengers to use the service. It appeared to many as a cynical move to profiteer from the crisis. It was especially damaging as Travis Kalanick is seen to have close relations with the Trump administration. Triggered by this, 200,000 people reportedly deleted the app as #DeleteUber trended on Twitter. The hot-on-the-heels competitor to Uber, Lyft benefitted from this. Uber has been dogged by controversy through much of it’s existence and will continue to as it develops driverless cars. Use Discussion Volume Analytics to help you find sudden changes in the volume of discussion about your company, to monitor the success or failure of a marketing campaign or to spot problems before they escalate. Control what’s seen online. Put positive news and reviews to the top of search results to counteract mishaps. Nivea, a personal care brand run by parent company Beiersdorf Global AG, was guilty of an unwitting mishap when it issued an advertisement with the strapline, ‘White is Purity’. The advert was intended to publicise Nivea’s Invisible for Black and White deodorant for consumers in the Middle East but instead provoked incensed activity online for the racist connotations. Soon, white supremacists began trolling the Nivea Twitter account and re-tweeted #WhiteIsPurity in line with their contemptuous world view. In this case, the release of offensive and inappropriate material was a result of oversight and thoughtlessness. However, it wasn’t the first time. A previous advert in 2011 showed a black man with a newly shaved head, ready to cast away his own severed head on which remained an Afro hairstyle. The caption read, ’Re-civilise your-self’. The lesson to learn here is that accidents are repeatable. Nivea’s track record of insensitive advertising will do significant harm. The material generated by white supremacists will stay online and be a significant blemish on Nivea’s record. Brand reputation management. Let us help you fortify and repair your brand reputation with proven, powerful personal branding strategies. Equally shocking was an advert issued in 2006 in the Netherlands for Sony’s Playstation Portable handheld game console. It showed a white model in pose of dominance over a submissive black model. This advert resurfaced on social media in 2017. It appeared that the advert was part of Sony’s current marketing strategy. The ability for material to be revisited online means that damage to reputation is not delivered in a single blow, it can happen piecemeal over a sustained period. Locking away those skeletons may need extra keys. Control what’s seen online. Remove negative reviews off search results, or put them into the ‘dead-zone’ of search result pages. I Love Ugly is a men’s streetwear clothing brand established in Auckland, New Zealand. It’s ascent onto the global fashion scene was marred by a marketing upset in 2015. An advertising campaign showed a series of images in which a male hand, wearing a collection of jewellery pieces, covers a female’s otherwise naked body parts. The images grabbed attention – but in the wrong way. It was deemed as low brow, cheap and incredibly sexist. Auckland University of Technology marketing expert Sommer Kapitan argued that it actually turned mainly female customers away from buying their husbands jewellery. It is a perfect case where heightened brand awareness did not translate into increased profit. Recently the brand has withdrawn itself from the word stage and now offers its products at cut rate prices. The company responded to worried customers with a half-hearted statement justifying their low prices, ‘“Long story short… Cancelled orders = too much stock = sell the stock to make way for our new collections.” The sales and weak excuses undermine customer’s perception of value that had been successfully anchored to the products. It is now that reputation management would be crucial while the company squeezes through difficult times. Keep your finger on the pulse through Brand Monitoring, 5th Law can help you find out what the media and customers are saying in realtime. There are a wide range of analytics tools available. Mention tools can gain better insights into what people are saying about your brand. Other powerful tools can calculate ‘influence scores’ for online content to prioritise your PR and brand management strategies. You probably know quotes about humans and mistakes. This article confirms that even the biggest brands make them too. Brand Reputation therefore requires constant maintenance. If you feel your efforts to keep your online reputation the way you desire are not enough, you can hire an online brand reputation and monitoring specialist such as 5th Law to help. This entry was posted in reputation management and tagged online reputation management, reputation management.